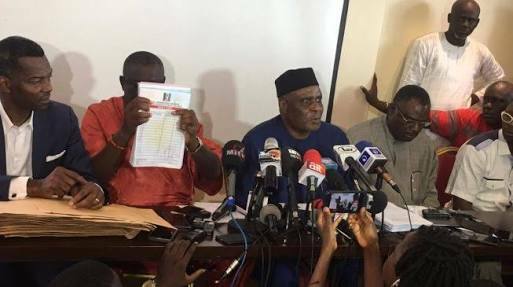 Clement Ebri, chairman of the primary election committee of the All Progressives Congress (APC) in Lagos state, says a fresh poll is to be conducted in the state. Ebri said this at a press conference which held hours after his committee met with executive officials of the party in the state. He had earlier distanced the panel from exercise which held earlier in the day, saying the open ballot used was against the guideline of the party. Ebri said the committee was determined to do what is right. “We have to be careful because of the political tension in the state… we have to do things right. Lagos state is so important to us,” he said. “We want a victory that will be credible, and will be in line with the guidelines and rules… We are ready to go to the field now so that at the end of the day, we won’t be accused of being partisan. We are now ready to hit the ground running.